Flood relief and Rehabilitation (Project Tenure : 2005, Beneficiaries: 96372 families, Supported by: CRS, Caritas India & Karunya Trust):-Distributed cooked food ??? 23733 people, Food material - 30850 families, Family kits ??? 9969 families, Student's kits - 5915 students, Medical camps ??? 25905 people. Rehabilitation work in Ambernath and Kalyan Talukas. Redevelopment of 1000 acres of agricultural land and community assets like halls temples, wells and roads. Unprecedented rains of 944 mm in Mumbai on 26th July, a record rainfall event, created flash flooding in the city of Mumbai and Thane districts. Almost the entire urban sprawl of Mumbai suburban and Thane district were under water, paralyzing the city and civic life.Karunya Trust extended its hands to the people of Mumbai and Thane districts through its relief activities based on a rapid assessment. Through the formation of various committees at Central and Local levels, under the leadership of the respective parish priests, the relief measures were carried out in the worst affected areas. The relief services include community kitchen, distribution of food materials, medical camps, family kits, students kit and Trauma Counseling. 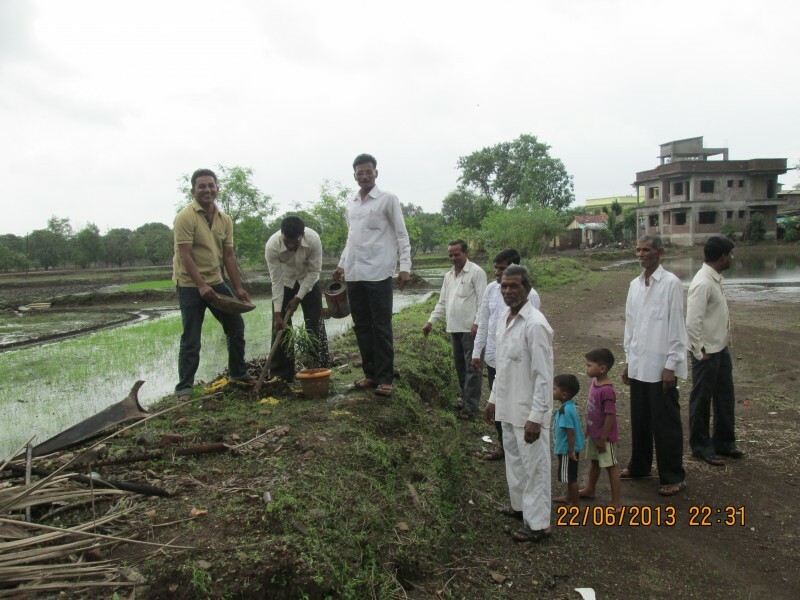 Karunya Trust started its rehabilitation works in the tribal hamlets, which were damaged due to the flood, based on a survey and personal observation in the various villages of Kalyan and Ambernath Talukas. In the beginning, the proposed project covered only 349 tribals families from Savarae, Dapivli, Ambishivi, Karuna Nagar, Dattan Nagar, Bapgaon and Bisol. The tribal families were badly affected and houses were partially damaged. The small and marginal farmers lost all their crops.The fields were also dumped with stones and mud at Savarae, Dapivli areas. The selection of the areas was incorporated with community meeting of village leaders and other stakeholders.